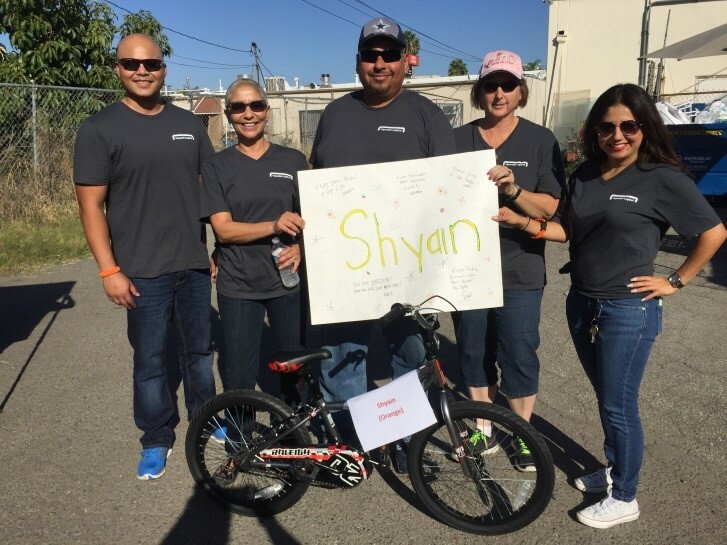 Hyundai Capital had a Corporate Team charity bike build in Anaheim, California. 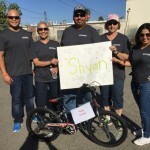 They built some excellent bikes for some great kids for the Foster Care Auxiliary in Anaheim. The Auxiliary opened up their back lot for the Hyundai team to build 9 bikes. Look at all these good people. They did something really good for kids in the foster system. The builders were supported by George from the O.C. Bicycles and Sporting Goods. George has helped with a number of events and he always gets rave reviews. Another good job for a good company helping get good bikes to good kids. Bike is Good! The teams built bikes for certain children and made what we call “an I Love You Card”. Typically mechanically oriented people work on the bike while the creative folks make the cards. Everyone participates. Here is a few words about Hyundai Capital: As a captive auto finance company, they achieve success by helping our partners succeed—working to fuel the growth of their auto manufacturers and dealers. In addition to they headquarter in Irvine, CA we have three operations centers in the US—in Atlanta, Dallas, and Irvine—with employees all committed to being a value-adding partner for our customers and supporting them with industry-leading customer service.